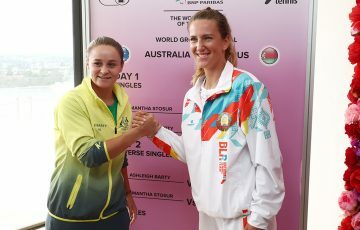 Australia will battle the mighty German Fed Cup team in April, with the winner qualifying for the elite World Group in 2013. Australia’s Fed Cup team will play Germany in their World Group Play-off tie in April 2012. The two teams will meet in Germany on 21-22 April with the venue and surface to be announced at a later date. Australia and Germany have met previously on 11 different occasions with Australia leading the head-to-heads 7-4. The last time the two teams met was in 2001 when Germany won 3-0 in Madrid, Spain on clay. Germany has four players in the top 30 – Andrea Petkovic (No.10), Sabine Lisicki (No.14), Julia Goerges (No.21) and Angelique Kerber (No.22). The German Fed Cup team lost 4-1 to the Czech Republic in Stuttgart two weeks ago in its World Group first round tie. Petra Kvitova came from a set down twice to defeat Lisicki and Goerges after Iveta Benesova had scored an upset victory over Lisicki in the opening rubber. Kerber defeating Lucie Hradecka in the dead fourth rubber before the Czech team completed the tie with a fourth point in the doubles. Petkovic was absent from the German team due to a recurring back injury. 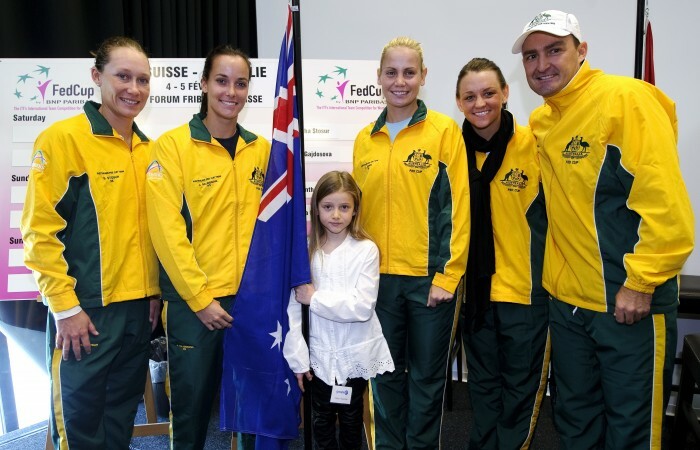 Australia’s Fed Cup team won their last tie 4-1 against Switzerland in Fribourg. The team consisted of Samantha Stosur (No.6), Jarmila Gajdosova (No.41), Jelena Dokic (No.76) and Casey Dellacqua (No.105). Stosur led the team in their World Group II tie with two singles rubber victories while Gajdosova won the all-important third point after a three set battle against Amra Sadikovic. Dellacqua and Dokic won the final doubles tie. The draw for the 2012 Fed Cup by BNP Paribas Play-off ties was conducted at the ITF offices in London. The ties will take place alongside the World Group semifinals with promotion and relegation decided for the 2013 Fed Cup season. Australia was relegated to World Group II after they lost 3-2 to Ukraine in their Fed Cup World Group Play-off in Melbourne last April.